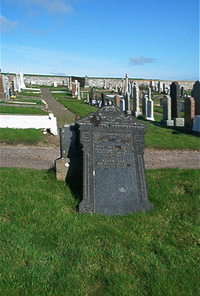 William Morray shepherd of Latheronwheel died 27th November 1904 aged 58. Wife Helen Oag died 2nd December 1904 aged 76. Looking for the memory of our Lord Jesus Christ unto eternal life.